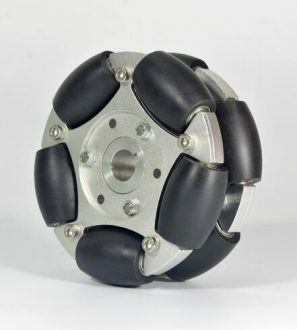 Durable construction and unlimited maneuverability make this omni wheel ideal for tough environments and industrial applications. 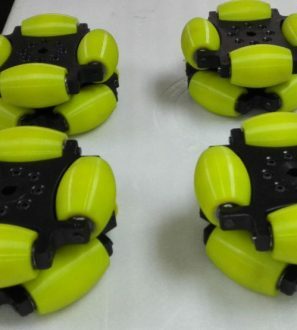 The 48mm Omni wheel is a robust, Mindstorm NXT compatible omni wheel which is usually used in industrial market. 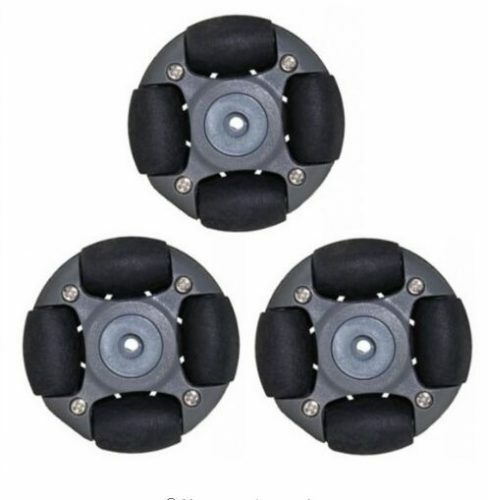 It is mounted in a fixed position which is capable of 360 degree movement and rotation. 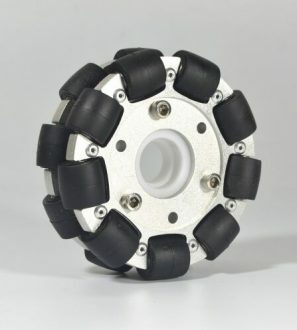 Durable construction and unlimited maneuverability make this omni wheel ideal for tough environments and industrial applications. 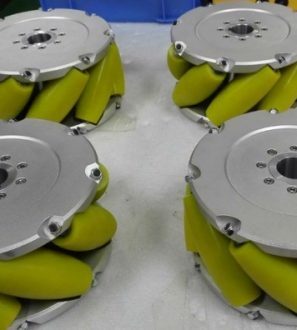 The 48mm Omni directional wheel is engineered for both floor and inverted applications such as manual and powered conveyor transfer systems, feed rails, workstation turntables, robot wheels and so on. 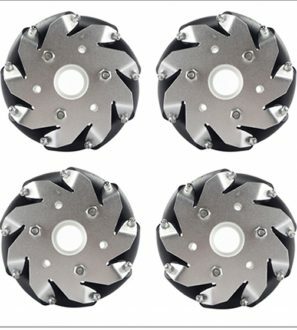 It comes with an NXT compatible hub and an Axle Centre hub for the Arduino motors.